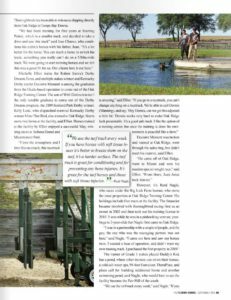 Oak Ridge is a world-class training center located in Morriston, Florida, easily accessible from both Ocala and Gainesville. Founded by Robert Nelson, the property is comprised of 14, privately owned parcels of land, each measuring 20 acres. Those lots, and the barns built on them, all provide easy access to the state-of- the-art, one mile dirt track, and 7/8th mile turf course. 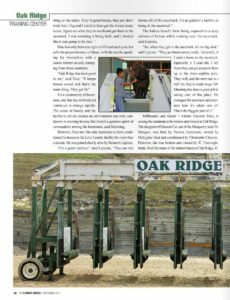 Dennis Manning is one of the original owners, and was closely involved in the development of Oak Ridge. He was instrumental in the creation of the turf course, and has been a primary consultant on a wide variety of issues since the inception of the facility. 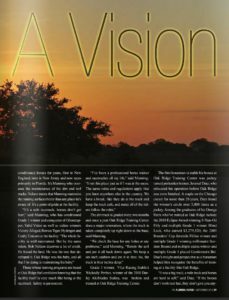 As current President of Oak Ridge, Dennis is responsible for, among many other things, overseeing the maintenance of both the dirt track and turf course. He is meticulous in emphasizing the highest possible standards of safety, and works with all of the trainers on the grounds to insure that the tracks remain in top condition. The track is built on a 12-14” white powdered limestone base, with 6” of sand and red clay mix compacted, and a further 2-3” cushion pad when harrowed and cut. Not only is the track groomed daily, but every year it is stripped, checked thoroughly, and re-graded. 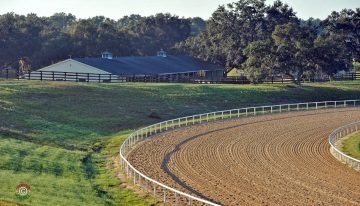 The track is also wider than many training tracks in the Ocala area, measuring a generous 60 feet. 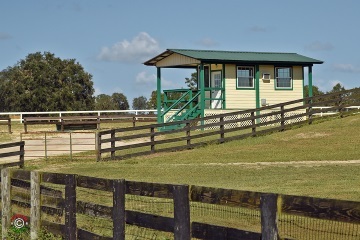 This provides an extra layer of safety for the horses training over the surface, as there is plenty of space between those walking or jogging the wrong way on the outside, and those galloping or breezing. It’s also worth noting that a brand new, all-weather viewing stand was built in 2016. 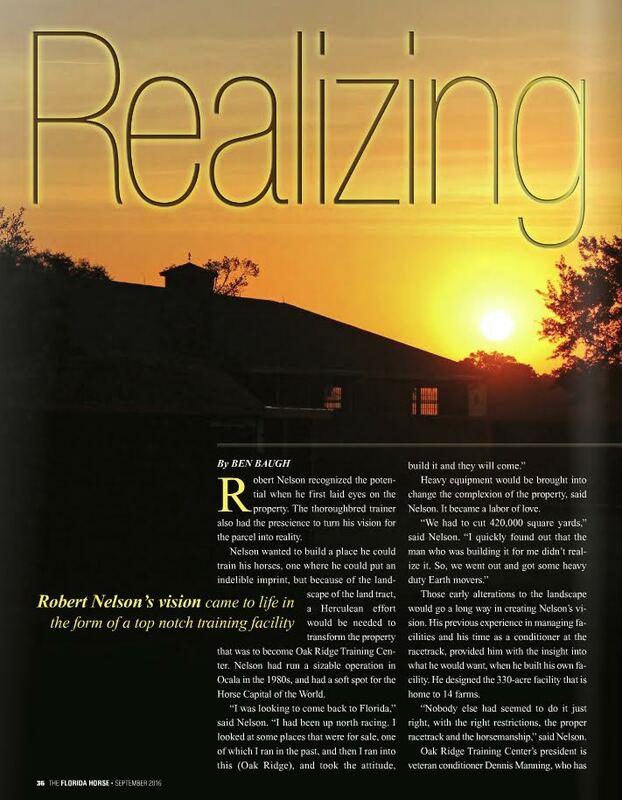 As further evidence of the high quality of the facility, note that in 2015, when David Scanlon chose to sell the training center at which he and his late father, Bob, had run their successful business for many years, he chose to relocate to Oak Ridge. 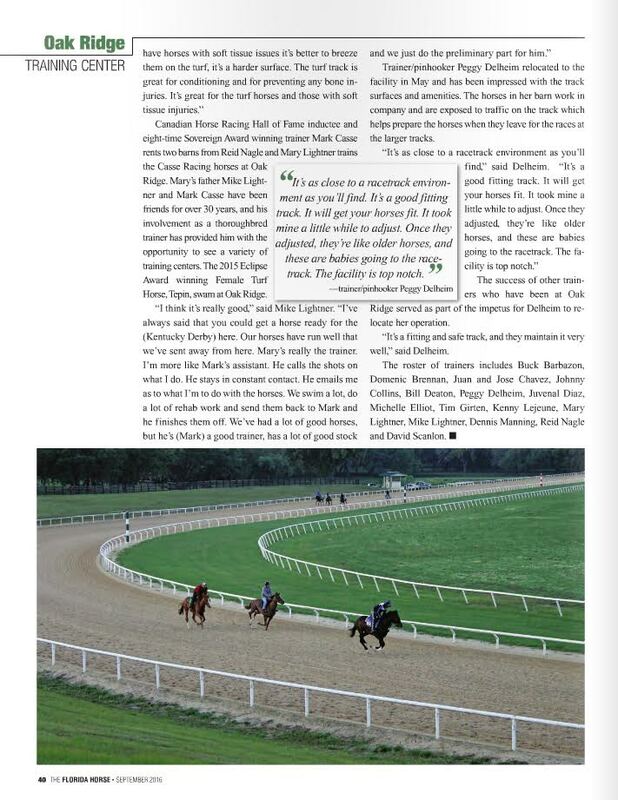 This is a man who was involved in the breaking and training of top horses such as Bernardini, Rags to Riches, Afleet Alex and Lion Heart, and who continues to train for clients such as Sheik Mohammed’s Darley Stable at Oak Ridge. Leading trainer Mark Casse is also represented by roughly 50 head on the grounds. Among the many stakes performers that began their careers at Oak Ridge are Eclipse Award winning Champions Blind Luck and Stardom Bound. You can view many more photos of the property in the gallery. 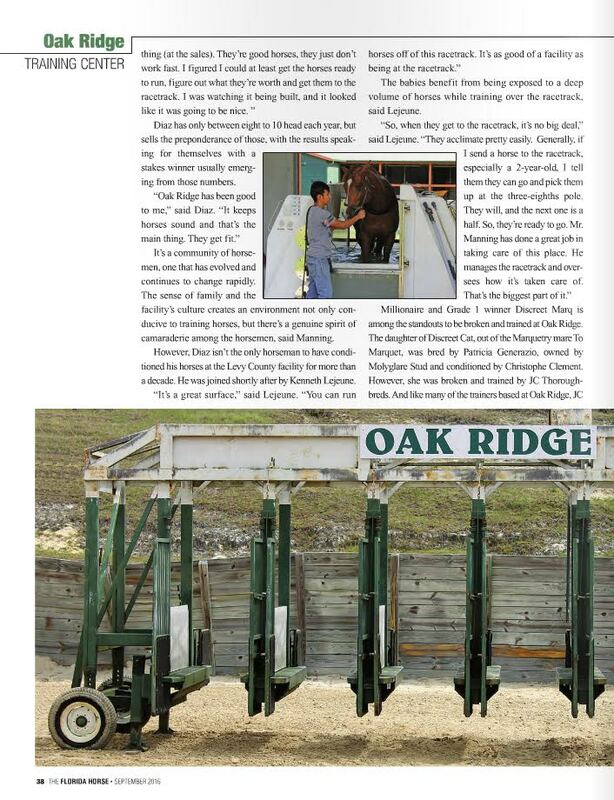 To view the official Oak Ridge Training Center site, click here. 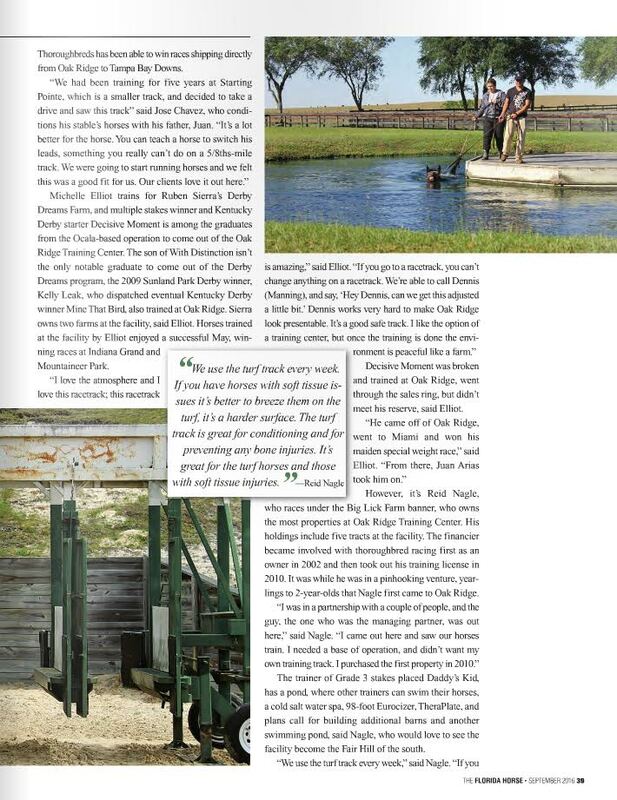 By clicking on the thumbnail images below, you can read an article on Oak Ridge, in which Dennis is quoted extensively, that was published in September 2016 in the Florida Horse magazine.